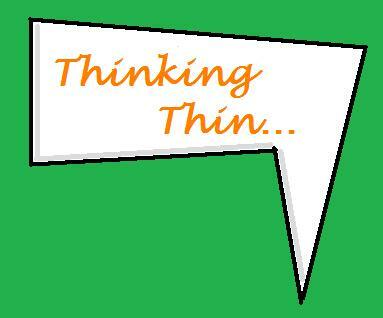 Welcome to Thinking Thin, this time actually on Wednesday. So it's not as early as I would have hoped but on the right day...now that is what I call progress. Here's how it works....post the code and picture in your own blog post, if you want to follow me, great, but you in no way shape for form have to follow me if you don't want to, you are still welcome to play. This way other weight loss/ diet/ running bloggers can find each other. We are creating our own village. Today I have a topic! Over breakfast this morning, after our run (not during) we got on the discussion of what is the best pre-run meal. This meaning the night before not breakfast the day of. My running buddy said she thought pizza was the greatest meal to eat before a run....and I kinda agree, pizza is a good suggestion, but for me the night before a longer run, or an intense workout, either one, I like to go for a sub type sandwich. Lots of carbs, but also packed with protein. This is the best for me, but like any other person that I know, pre-race day I am all about the pasta! Spaghetti, don't mind if I do!!!!! What do you guys eat that makes your workout better?